Sign up for your Charter Membership as in the past by visiting the The paid subscriptions module located in your forum profile settings, here. The paid subscription link (in your profile controls) will accept your Charter Member payment using PayPal's super secure payment interface. After choosing either the Hoodie package or the Hat package you can use your PayPal acct, your debit card or your credit card to pay. 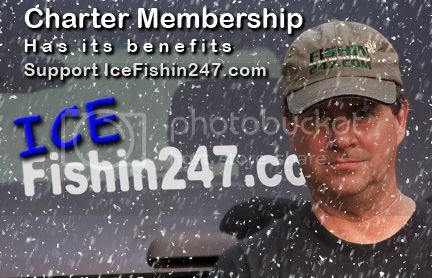 IceFishin247.com automatically sets your account to Charter Member for 1 year and will send you a notice 14 days before your subscription is up. If all this technology is intimidating to you, you can still become a charter member the old fashioned way, by sending me a check or money order. I will enter and set your account manually. If you wish to pay by check or MO just send me a PM for the address. 1b.) 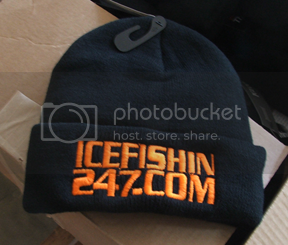 Choose a special issue black knit hat with thinsulate insulation and orange IceFishin247.com on the front. or you may choose one of our brand new IF247 T-Shirts. See the IF247 store T-shirt image. Easily attach up to 12 photos per post, no need to go to your Photo Bucket account. Charter Members can attach up to 4 photos in the personal messages that they send. Doubled mailbox capacity, CM's save up to 100 messages in your mailbox. Talk about your day on the water or whatever else is on your mind with other charter members and F247 staff in the lounge. For forum performance issues as in: you can't get something to work of need some help figuring out how to do this or that. Post a help request here and your issue will be attended to first. 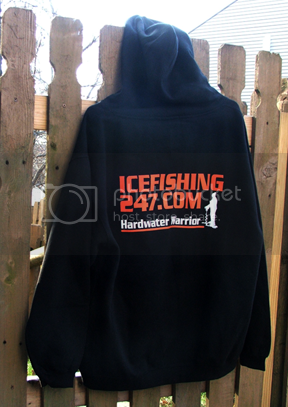 will be placed in your online ID showing the rest of our members that you are a Fishin247 supporter. Custom Avatar: If you have a photo that you would like to have prepared as a personalized avatar, I will make the avatar and install it for you. 7.) 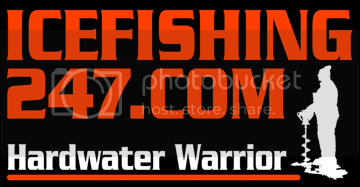 Hardwater Warrior emblem displayed in your forum signature. 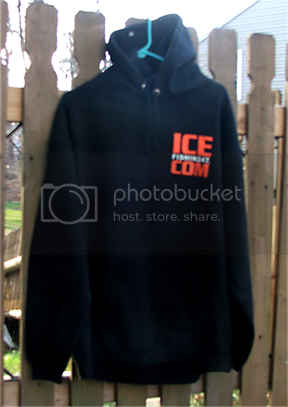 Hoodie and Hat Images Coming Soon!